Many years ago, when our children were little and things were tight, our washing machine broke. When it rains it pours. I spent weekends at the laundromat – a perfect place to read while waiting for the wash to be done. A new book had hit the market, Chicken Soup for the Soul, by Jack Canfield and Mark Victor Hansen. It was packed with short stories that were captivating; they made me feel good. One story struck me like a thunderbolt. It is about a teacher. That story kept me going; and still does to this day. Every year as the New Year rings in, I read the story and I vow to be that teacher. She is my hero. I don’t think people know she’s my hero. I doubt my own children even know; they would say my it’s my grandmother, Nan. And, so would most people close to me. Nan was the best grandmother, and what I learned from her shaped my character, taught me far more than even she ever realized about reading and art. She was strong and kind, and she always inspired me. She touched every part of my life. Nan was a superhero. There are heroes, and there are superheroes. Just ask any 8-year-old. A superhero makes a difference to everything in your life, like Nan. A hero is someone who touches your life in a very specific way. The teacher was still alive, so he sought her out and asked the old but still alert lady what magic formula she used to pull these boys out of the slums into successful achievement. My copy of the book is worn, and the pages open-up to this story, because I’ve read it too many times to count. It changed how I looked upon teaching and children. I often write about an emergent or child-centered curriculum, and how that has led to the best learning. Well, now you know where it started. And, now you know who my hero is. If I can fill her shoes and give children the same love so they can succeed, that’s all I need. This entry was posted in Book Review, books, Expressing words and feelings, Giving thanks, Inspiration, joy, Kindness, Love, reading, Teaching young children and tagged Chicken Soup For the Soul, heroes, Inspiration, Kindness, Love, teaching, Teaching children. Bookmark the permalink. Thank you, Pete. It is a great way to start the new year! Oh, what a lovely and inspiring story for the new year, Jennie! Thank you for this. What a great story to start the year with! Oh Jennie, I loved reading this. I think I remember that story. I’m going to look and see if I still have my copy of that book or if it’s one of many I left behind in my fractured life. If you look at my header you will see many of the Chicken Soup books I still have. I have been gifted a few on my kindle but prefer them in hard copy. I gave away the second of 3 copies of the Writers Soul this Christmas to a fellow wanna be writer. They are a favorite of mine and the stories of teachers always brings tears. I had one as well. You make a difference in ways no one can imagine. Teachers should be paid more than football players or even doctors. They wouldn’t achieve those dreams without a good teacher somewhere. Happy New Year, Jennie and keep doing the good work. Thank you, Marlene. Oh! I will definitely look at your header! 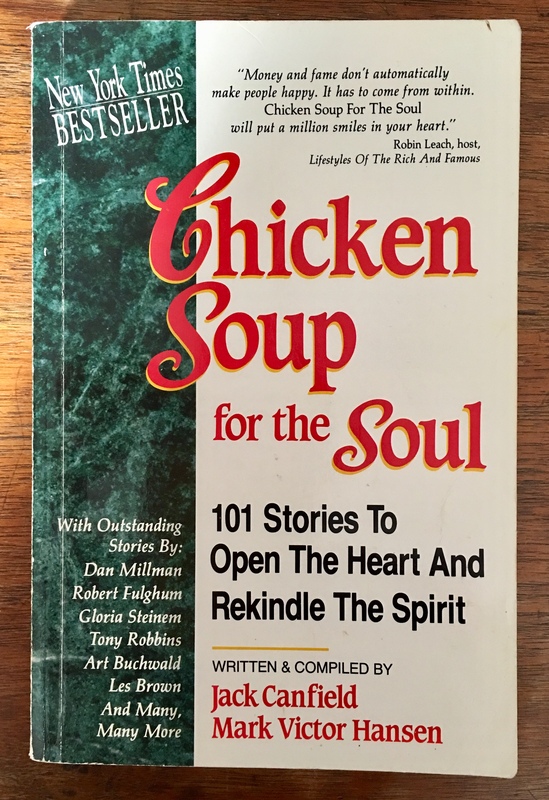 This is the only Chicken Soup book I have. And of course it is a treasure to me. Do you remember this teacher story: she had her students write one nice thing about each of their classmates, then she compiled all the statements on each child and gave it to them. Years later one of the students died, I think he was a soldier in Vietnam Nam. At the funeral, someone pulled out their well-worn copy. Then another student did the same thing. It was one of the best teacher stories (besides the teacher In Baltimore). Well, if I was paid a lot of money, I would make sure much of it went to help children, like putting books in their hands. Do you remember Reading Rainbow? I would love to do that! Until then, I’ll keep teaching and loving children! 😀 Happy New Year to you, Marlene! I do remember that story but couldn’t find it today looking through the book at the titles. I’ll look again tomorrow. I did have the book still. Now I won’t part with them for certain. Going back to re-read them is a treasure. I need my mind jogged about Reading Rainbow. You are the best teacher any child could have. I’m certain of it. I would have read mine in bed had I not been in the laundromat all the time. 🙂 Thank goodness you didn’t have much TV. The three big PBS shows were Mister Rogers, Sesame Street, and Reading Rainbow. I loved everyone, and so did our kids. How wonderful that Sesame Street helped your son learn English. Wow! Best to you, Marlene. I just love all you said, Marlene. I always do. I bet your father knew those PBS shows, even if you didn’t have a TV. And you were definitely the Reading Rainbow in your house. I must read my entire Chicken Soup book again, and buy some new ones. Ever since I started writing my teacher stories, I have thought they would make a great Chicken Soup type of book. I’m working on this! Best to you, Marlene! Very well said, my Dear Marlene. Regards. Yes, Marlene said it very well. I’ve been in the workforce for almost 42 years, and I still remember several teachers who cared enough to encourage me. Most of my teachers are just faded memories, but there are some I will never forget. I’m not sure if they loved me, but they loved teaching and it showed. Kudos to you for rising up to that goal, year after year, Jennie. Oh Jennie, this speaks to my heart and soul. First, when you mentioned the broken washer, I thought back to the first washer we had to use when I got married at barely 18. It was an old wringer washer, and I had to hang the diapers and clothes out on the line. But they always came in smelling good when they thawed out in the wintertime, and the summer winds blew them and made them so soft and wonderful. Oh, and these were real diapers too. I had not finished high school then, though I did go back and get a GED, and then ultimately went to junior college, and then later the university. But one thing I did know was that I wanted my little daughter to be smart and have lots of choices I never had about what she would do when she grew up. But first, she had to learn how to read. Now I grew up without a lot too. My family was poor to lower middle class. But we never went hungry and we had a new pair of shoes every year. So I had not had a strong education to know what a child would need in the way of education. But I did have a good teacher in high school – only one in all those years. She knew somehow what children needed and she played jazz or other music in class and had us write little stories about what the music made us feel. And she put cartoons and other newspaper clippings up on the wall and had us write about those things. And one day the most remarkable thing happened to me. As she was handing out our papers from one of our writing exercises she had graded (no one ever got a bad grade in her class), she stopped and whispered in my ear, “You are going to be a great writer someday.” That was all it took to change my world forever. So with my limited education, I did a lot of things that weren’t being done in those days. I nursed all my children because I sensed that rocking them in the rocking chair and nursing them was good for them. And in the same way, I taught my daughter how to read before she was two years young. I made index cards with big words on them, and on the other side, I drew what those words were. I would show her the word, and then the picture, and then I would show her in the house what it was, each time saying the word. When we went to the grocery store and she was in the cart, I had cards for the grocery items – cereal, milk, juice. I didn’t know about word length, so I just picked things I already knew. And at night when I read her a bedtime story out of her Golden Books, and would stop and ask her a word we had covered. She would point to it and tell me what it was. One night I heard her “reading” an entire Golden Book word for word, and I was trying to figure out how she could know that many words already. I went and peaked in the door, and sure enough, she was reading the book word for word and turning the pages. I went over to her bed and asked her if she would read the story to me. To my amazement, she had memorized her favorite stories. So I guess it was then that I realized that children learn when you give them the opportunity and the encouragement. You don’t have to have “lesson plans” or fancy programs, etc. You just have to encourage them, love them and provide a lot of good stuff for them to help them learn. Children actually WANT to learn when they are young. It is natural for them to want to learn. Jennie, you are MY contemporary hero as a teacher. I know that your children have remembered you for many years because of what you have given them – opportunity, encouragement, and most of all, LOVE! Keep doing what you do so well always. Thank you most kindly, Jennie. It seems these days I can’t answer a simple comment without telling a story it reminds me of, and nearly everything reminds me of something. I wonder if it is an attempt to remember all the things that contributed in some ways to my life. When I was interviewed at my current school they asked me to describe the most important thing I’ve learned about teaching. I thought about child psychology and behaviour management, subject knowledge and enthusiasm but the only answer I could give was the same as the teacher in your book. Genuine appropriate love for children is like sunshine on flowers. You gave the right answer! And yes, it really is like sunshine on flowers. Thank you so much! Beautiful story, Jennie. Thanks for sharing. Oh Jennie, what a beautiful story! I have had teachers who also believed in me. They may have been tough on me. But that helped make me what I am today. I gave my fifth grade teacher, Mrs. Nave, a copy of one of my first published books to say thank you for pushing me to succeed. Dear Jenny, I think any children you teach will someday remember you as one of their heroes! People ask me about my own high-achieving kids. And it’s true that they grew up with many advantages including having well-educated parents. But one other thing they have in common was Polly. She was the head teacher at their preschool, and sincerely convinced that every one of her students was absolutely brilliant in some way. Polly (whose own background was as a dancer) once told me that the ONLY prerequisite for anyone she hired was that they must be passionate about something in their own life “because you have to know passion for something outside yourself or your family if you want to be a good teacher.” Her impact on “her” children can’t be measured. From a tiny midwestern town, the young men and women she taught have gone on to win Oscars and Emmys, to be elected to state and national office, to become doctors, lawyers, college professors, to invent and to advocate for change in the world. With my own children, she sent one of my daughter’s stories to a children’s magazine where it was published. That girl now has an Emmy in her bathroom. She made a video of another daughter’s history project. That daughter is now a human rights lawyer and New York Times columnist. She helped my son make boxes-&-junk sculptures, and now he’s building robots. She encouraged another shy daughter to be in plays, and she went on to star in her high school productions, before becoming a confident team leader and software developer for Adobe. People said my kids were “gifted”. But I’ve always believed that the best gifts they ever got were (obsessive) parents and Polly. Wow! WOW!!! Thank you for telling me all about Polly. Is she still around? There is nothing better than telling a teacher directly that s/he made a difference. Her stories and yours are the stuff dreams are made of. Well, at least the stuff this teacher’s dreams are made of. I had to read this twice! Bravo bravo Jennie. You’re my hero or heroine and if all teachers had the enthusiasm and mindset you do towards what they are really doing, the world would see children truly thrive. That’s what you do. Youre one special lady and I you’re on my Dream Team. Have a phenomenal New Year in 2019! I’ve been fighting with WordPress all day to renew my plan at a lower level on all of them since I had to file Chapter 7 bankruptcy on 28th of December. I wish I never Built My Empire on WordPress because they sure as hell aren’t very nice. I spent years eve and UMC Hospital because I couldn’t get my medicine renewed any other way the doctor wouldn’t respond to calls and as it turned out I had a viral infection and I’m on medication for it. Wonderful post, wonderful story, Jennie. Yes, what the child needs now is love, sweet love, and acceptance and encouragement. You give the children what they need, Jennie. Have a wonderful year. A Very Beautiful post for the New Year, my Dear Jennie. Kudos. You lift up my Heart. 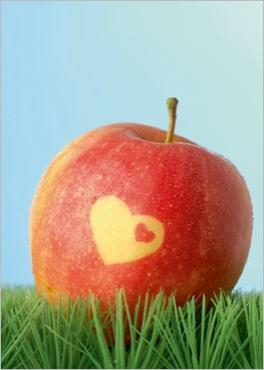 …In my case, if I were to share, there were Teachers who were very good, and whom I appreciate even today. But I find that I have the Best of Parents, who love me, and my siblings, indeed. And that has formed me. Let me also remember my Bishop, who loved me! Am Sure You are a Hero, even a Super Hero, for Many, Many indeed. In the name of All whose life You have touched, I say Thank You. Thank you so much! Many thanks for your blessings. It helps me do my best to teach children. Thank you Jennie for recounting that story.. I have four of the Chicken Soup series books on my Bookshelves.. They never fail to inspire, and bring tears every time I read a story within them . Thank you for sharing this particular story that means so much to you.. Indeed you share love, you are love, and Oh if only ALL teachers shared what you shared with your young charges this world would be educated in LOVE and this world would grow into a more loving and peaceful place.. Happy New Earth Year Jennie..
May it bring many more happy young children through the doors of your school so that you can share your love with them.. I have heard of this book, Jennie, but I have never taken the time to read it. I must address that this year. It is simply wonderful to come across someone who can inspire you like this. The book is one true story after another that will grab you. You will love this book, Robbie. And yes, that story sticks with me like glue. I want to be that Baltimore teacher. I think you have recreated her in your own environment, Jennie. I hope so, Robbie. Thank you! Jennie, this is wonderful inspiration! Thank you, Charles. I’m so glad you thought so. And you are an inspiring teacher! Aww…thank you! That is so kind of you to say. My grade three teacher made that sort of an impact on me. I too love this story. I also believe you have filled the shoes of your hero. Love is all you need! Love is what gets you up the next day to greet those eager faces! Spot on, Jennie. Yes, it is! Thank you.